I am Jun Hu. In case you are wondering, Hu is my family name. But being a Chinese, I can’t help being more pleased if someone call me hujun /who june/ instead of Jun Hu. But after many years of explaining about my 5 letter names, I am OK with any composition of Jun and Hu or even Ju and Hun. I am from Jiangsu Province, the southeast of china, where the Yangtze River opens to the sea. I started my university life as a Math student who was more interested in computer science. Graduated with a bachelor degree in Computational Mathematics, I taught myself programming and worked for an oil exploration company and then a construction machinery company, with qualified titles of Senior Programmer and System Analyst. For 6 years, I was working on digital signal processing algorithms and software packages, management information systems and networks, and computer aid design systems. In 1996, I decided to go back to the university to refactor my knowledge on computer science so that I could “make things better”. During the 3-year study, I also worked as a research assistant for professors and a team leader of a group of programmers. Among several other projects, a system for facial reconstruction from a skull and a 3D visualization system for virtual medical operations were my favorite. The final work for the Master’s degree,Content-based Retrieval of a Medical Image Database, used images to search similar images in a huge database. The result was promising and it had been used by the doctors in a hospital happily ever after. However when I finished my computer science study, I found the most important was not just to make things better, but to make people’s life easier. So I moved to Holland in 1999, and joined the 2-year postmaster program User-system Interaction here in TU/e. My final project, Distributed Interfaces for a Time-based Media Application, was done at Philips Research. As the best from the USI program that year, this project was nominated for the OCE prize, although it did not make to the top prize at the end. I was so interested in interactive media that I decided to continue the research as a PhD project, focusing on the design of the software architecture for distritributed interactive media, especially for home environments. I started teaching at ID in 2003. Since then I had been involved in both research and education. I am now an Associate Professor at Department of Industrial Design, TU/e. I served as the head of the designed intelligence group from 2015 to 2017. Aside from my professional life, I am a relatively good Chinese calligrapher, inheriting some calligraphing genes from my father. I don’t have much taste of music, but I do like Jazz and Blues very much, and hate Urban and Hiphop stuff. Digital photographing is also a lot of fun for me. I sometimes pretend to be a professional table-tennis player, if there is no one really professional around. As a researcher, I can not help showing my list of the publications. As a teacher, I am very proud of the student projects. Here you can also find a list of project reports. Dr. Jun Hu is a Senior Member of ACM, currently an Associate Professor in Design Research on Social Computing, and a PhD supervisor at Department of Industrial Design (ID) , Eindhoven University of Technology (TU/e), a Distinguished Adjunct Professor at Jiangnan University and a Guest Professor at Zhejiang University. He was the head of the Designed Intelligence of ID TU/e from 2015 to 2017. He is currently the chair of the working group “Art and Entertainment” of IFIP (International Federation for Information Processing) TC14 (Technical Committee on Entertainment Computing). He is the coordinator of the TU/e DESIS Lab in the DESIS network (Design for Social Innovation and Sustainability). He serves the editorial boards of several international journals such as Information, International Journal of Arts and Technology, and EAI Transactions on Creative Technologies. He has more than 200 peer-reviewed publications in conferences and journals in the field of social cyber-physical systems, IoT, HCI, industrial design, computer science and design education. 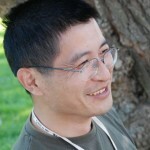 Dr. Jun Hu has a PhD in Industrial Design and a Professional Doctorate in User-system Interaction, both from TU/e. He has also a B.Sc in Mathematics and an M.Eng in Computer Science. He is a System Analyst and a Senior Programmer with the qualifications from the Ministry of Human Resources and Social Security, and the Ministry of Industry and Information Technology of China. From 2006 to 2007 he served as the Secretary-General for The Association of Chinese Scholars and Engineers in the Netherlands (VCWI) and from 2008 to 2009 as the Chairman. He is currently an Associate Professor at the Designed Intelligence Group, Department of Industrial Design, Eindhoven University of Technology, The Netherlands; a Guest Professor at School of Digital Media, Jiangnan University; ACM Senior Member; a senior honorary research fellow at SENT (Science and Education New Town), Taicang, China. 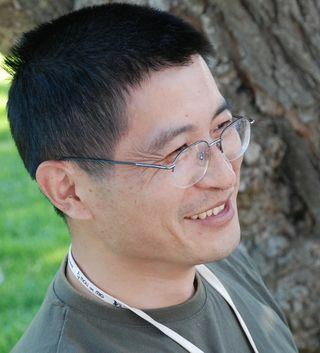 He has backgrounds in Computational Mathematics (BSc), Computer Science (MEng), User-system Interaction (PDEng) and Distributed Multimedia (PhD). He has professional and industrial qualifications in software engineering, being a Senior Programmer and a System Analyst. He also holds the BKO – the University Teaching Qualification. He has been involved in a number of research projects, including the EU projects such as EIT ICT Labs (Multimodal Interaction Lab and Computers as Social Actors Lab), ICE (Interactive Cognitive Environments), SEAT (Smart tEchnologies for stress-free Air Travel), Metaverse1, SOFIA (Smart Objects for Intelligent Applications); international projects such as Smart MeDiCa (China-Netherlands Joint Research), Path of Life (PostDoc research funded by a Chinese University), Design for Social Interaction through social computing (China Scholarship Council) ; national or local projects such as ROILA (Robot Interaction Language), Medical Delivery Simulator; and other projects such as ALICE (Cultural Computing). In these projects he carried out a variety of research related roles and activities, implementing the prototypes or the platforms, designing or conducting the experiments and analyzing the results, being a software architect, a project leader, or a supervisor for PhD students. He either acquired funding for some of these projects (SOFIA, EIT ICE Labs), or contributed to the process of acquiring it. In these projects his research covered a number of subjects, but mostly in distributed computing, semantic web, internet of things, social and cultural computing and human-computer interaction. He is also involved in many different education activities. He has been a supervisor for 10 PhD students since 2006, of which 4 have graduated and 1 of which is scheduled to graduate in early 2013. He was the theme champ for the theme “Realities” (2008-2011) and later initiated and joined the theme “Out of Control” as a core member. The learning activities created or organized by him include assignments, modules, projects and workshops, coaching or supervising the students of all levels. Besides, he is also a member of the Management Team of the USI program, and a member of the Bachelor Education Committee. He has also initiated or participated in international cooperation in both research and education. He took the initiative in establishing a DESIS (Designing for Social Innovation and Sustainability) lab (TU/e DESIS Lab, on Social-technological Innovations for Well-being), joining the DESIS network of design schools, academics, researchers and students from all continents. He joined the effort in setting up the International Design Institute (IDI) in Zhejiang University, during which he took the initiative in setting up a PhD cooperation program for eight PhD’s per year. He recently established the cooperation with the School of Digital Media (SDM), Jiangnan University, expecting exchanging scholars and research collaborations. He was also invited to teach courses at Tsinghua University, Zhejiang University and Jiangnan University. In 2011 during his sabbatical visit to these universities, works of him and his students in these courses were exhibited during the Beijing International Design Week, the opening ceremony of IDI, and the DESIS conference. In 2012, he coordinated the activities in cooperating with China Scholarship Council and the international Office of TU/e in recruiting Chinese PhD students. 5 PhD’s have been recruited. He has published about 180 papers in journals and conferences, with an H-Index of 20. He serves the editorial boards for several international journals (International Journal of Arts and Technology; EAI Endorsed Transactions on Creative Technologies). He was a member or a chair of the program committee for conferences such as DesForm, SmartIT, GameDays, Edutainment, DMDCM, Culture and Computing, ICCGI and ICAIT. Next to his work he was the Secretary-General of the Association of Chinese Scholars and Engineers in the Netherlands (2006-2007) and the Chairman (2008-2009). Since 2009 He has been a vice-chairman for the Center for Chinese Professionals in the Netherlands (CCPN). Earlier to his current employment at the Department of Industrial Design, He had a variety of work experience. He worked in signal processing as an software engineer at the Computational Center and Institute of Geophysics of Jiangsu Oil Exploration Co. (JEOCO) from 1990 to 1994, in management information systems and computer aided design at the Information Center of Shaanxi Construction Machinery Co. Ltd. (SCMC) from 1994 to 1996, in scientific data visualization at the department of computer science of Northwest University from 1996 to 1999. He was a researcher in the Media Interaction Group at Philips Research Eindhoven from 2000 to 2003. He is an author of several commercial and open source software products.